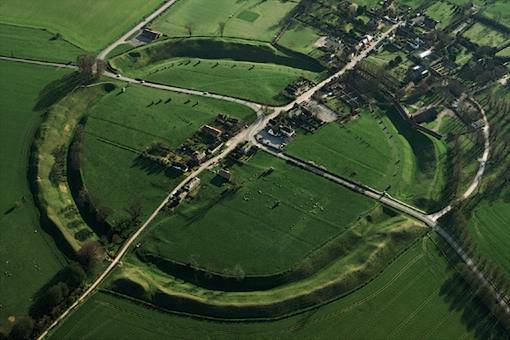 Today, we must celebrate John Aubrey’s dramatic rediscovery of Avebury – the world’s largest prehistoric stone circle. Avebury Stone Circle today: with its ditches excavated, unsightly cottages demolished, and unnecessary enclosures removed, it’s difficult to imagine the snarl of 17th-century domestic chaos that greeted John Aubrey’s visionary gaze that January morn. It’s been my experience that no story about Avebury ever concludes without some vicious act of destruction by some pious know-it-all or other; this On This Deity entry is no different. For, despite King Charles II’s fascination with the Avebury stone circle, it was his return to the English throne that prompted the temple’s most vivid and desperate period of destruction. For in their determination to stamp out the Non-Conformism of Cromwell’s time, Charles II’s paranoid Restoration Government in 1665 passed the Five Mile Act (or Non-Conformist Act 1665), which specifically forbade all itinerant Non-Conformist preachers from speaking within five miles of their old parishes. Avebury stone circle is nine miles south of Swindon, eight miles north-east of Devizes, five miles west of Marlborough and six miles east of Calne. Non-conformist preachers throughout northern Wiltshire looked to the ancient pagan temple and regarded the Five Mile Act as a divine sign: let us make our new home here, and every pagan stone we break we’ll make righteous by incorporating it into our Non-Conformist church. And so to Avebury they did come and such destruction so they did: the church remains at the circle’s centre even to this day, self-effacing and easily overlooked but engorged nevertheless with as many splendid sarsen stones of that former 4,500 year-old monument as those Non-Conformist preachers could muster. Our hero John Aubrey would, for his pains, die unpublished and in penury. Today, however, his legend burns with an unquenchable fame due to that pioneering archaeological tome Monumenta Britannica, that gossipy biography of his many contemporaries Brief Lives, and – most of all – for that splendid vision of Avebury exactly three hundred and sixty-two years ago today. To John Aubrey – Culture Hero and how!